THE photos in her wedding album show the lovebirds all aglow against a backdrop of sweeping azure skies, wind-swept tall grass, green plains starred with white flowers, and serene tree-lined paths. Said Mrs Rochelle Ong: "When people see my wedding pictures, they ask if I took the photos in Korea. When you tell them it is a landfill, they go: 'Huh?'." It was by chance that Mrs Ong had stumbled across Pulau Semakau, Singapore's last operational landfill, while surfing the Internet. Impressed with how beautiful the island looked, the 31-year-old assistant sales manager decided she had to have her nuptial pictures taken there, and wrote to the National Environment Agency (NEA) for permission. They got their wish in 2007. The next year, Mr Adrial Tan and his bride became the second couple to take their wedding shots there since the island was opened to the public in 2005. "We didn't need to go overseas for a different type of photo shoot - that would have cost quite a bit," said the 33-year-old teacher. "I think nobody expected a landfill to have such scenery." Every day, about 2,000 tonnes of ash, sludge and non-incinerable solid waste - the residue from the mainland's four waste incineration plants - make their way to their final resting place at Semakau. Through the ingenious efforts of the Ministry of the Environment, what could have been a literal dump has instead been transformed into an ecological and recreational haven for nature lovers, bird watchers, sport fishermen and stargazers. According to the agency, the number of members of the public trooping to Semakau has tripled since 2005, from more than 4,000 to 13,000 last year. To ensure Mother Nature isn't stressed by so many visitors, the number is limited to 160 a day. They have to sign up for a tour with the NEA or join the activities of The Astronomical Society of Singapore (Tasos), the Nature Society Singapore (NSS) and Sport Fishing Association Singapore (SFAS), which have permission to hold their events on Semakau. These interest groups tell MediaCorp that they see more people joining the trips they conduct to Semakau. The NSS, which organises bi-monthly bird-watching trips to the landfill with 20 to 30 people each time, says there has been a "substantial increase" in interest. Society president Shawn Lum said: "More people are aware of the environment and have more knowledge about Semakau." Recounting how Semakau has changed since it opened for landfill operations in 1999, Dr Lum said: "It was just the reclaimed land initially ... the grasslands and wetlands had not yet evolved. Now, the planted mangroves have established themselves and matured, and there are habitats now that never existed, and we see more biodiversity on Semakau." For instance, the changeable hawk eagle - a rare sighting in mainland forests, which is not known to visit offshore islands - has been spotted on Semakau, Dr Lum said. Sports fishermen have seen turtles and stingrays, which breed in the waters off Semakau; the black-tipped reef shark, which can grow to 1.8m in length; as well as sea otters in the mangroves, according to Mr Chin Chi Khiong, chairman of the SFAS. The association organises monthly fishing trips to Semakau but not to worry - the anglers use artificial bait and practise the "catch and release" method, said Mr Chin. The SFAS promotes fishing as a sport, not a meat-hunting exercise. For human day trippers, more facilities have been built, such as a briefing room and pantry for groups that stay overnight, noted Tasos assistant honorary secretary Albert Ho. The society visits Semakau four to six times a year in groups of 20 to 50; they get twice the number of participants these days than when the trips out first started. At night, minus the glare of urban lights, the Milky Way and the Summer Triangle (a star formation) are some of the sky objects that are visible from Semakau. The NEA has not studied the impact of visitors' activities on Semakau but interest groups say it is minimal because of the cap on visitor numbers. Said Mr Chin: "When we go in a small group, the impact on nature is very small. And we don't go very often, we give nature time to recover." 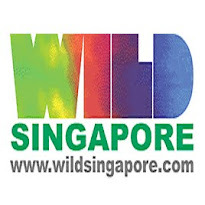 The Raffles Museum of Biodiversity, which is conducting a three-year census of Semakau's marine species, declined to be interviewed for this feature. Its Project Semakau, which started in November 2008, uses volunteers to help researchers document species of plants and animals, as well as conduct tours for schools and the public. Other interest groups such as the Tropical Marine Science Institute and TeamSeaGrass also monitor eco systems around the island. The western shore of Semakau, for instance, is home to what are probably Singapore's largest remaining coral reefs and pristine expanse of seagrass. Given how this ecological gem appears to be flourishing, should the landfill's doors be cracked open for more human visitors to appreciate it? It's something the interest groups are in favour of but with understandable caution. Said Mr Ho: "It's good to expose people to Semakau. But there must be a balance between opening up and letting the place become commercialised like Sentosa. Then we will lose the charm of the place." For now, the NEA is not considering raising the visitor limit. Mr Ivan Yap, manager of landfill operations at Semakau, said there is limited transportation and manpower to cope with an increased visitor count. "If there are too many people, the visitors will not be able to enjoy the trip," he added. Another challenge Pulau Semakau faces is coping with the waste that Singapore produces with a growing economy and population. Besides encouraging Singaporeans to recycle more, the National Environment Agency (NEA) is looking to see if it can make use of the waste being dumped at Semakau. In March last year, it began an eight-month study to assess the possibility of building a commercial plant to recycle the waste ash into useful material for construction work. By reducing the amount of waste that ends up at the landfill, its lifespan can be extended beyond 2045. Manager of landfill operations at Semakau Ivan Yap said: "We are trying to change our perceptions too. What you term as waste now can eventually be a resource." He adedd: "Once Semakau landfill is used up, it is very costly and difficult to find another place to develop a landfill site." The NEA is also thinking of attracting more biodiversity research by the likes of academics and nature groups, on the island's mangroves, sea grass and corals for instance. The $610-million Semakau Landfill, created out of the amalgamation of Pulau Sakeng and Pulau Semakau, began operations in 1999. Care was taken to minimise the impact of construction on the ecosystems, including replanting lost tracts of mangroves. A rock bund built around the 350-hectare landfill, and lined with an impermeable membrane and clay, prevents pollution of the sea. Cells divide the landfill. Each evening, waste ash, sludge and non-incinerable waste is barged over from the mainland and fill those cells. When a cell is full, a layer of earth is poured over it and, over time, nature makes its home there. More about Pulau Semakau and how to visit.